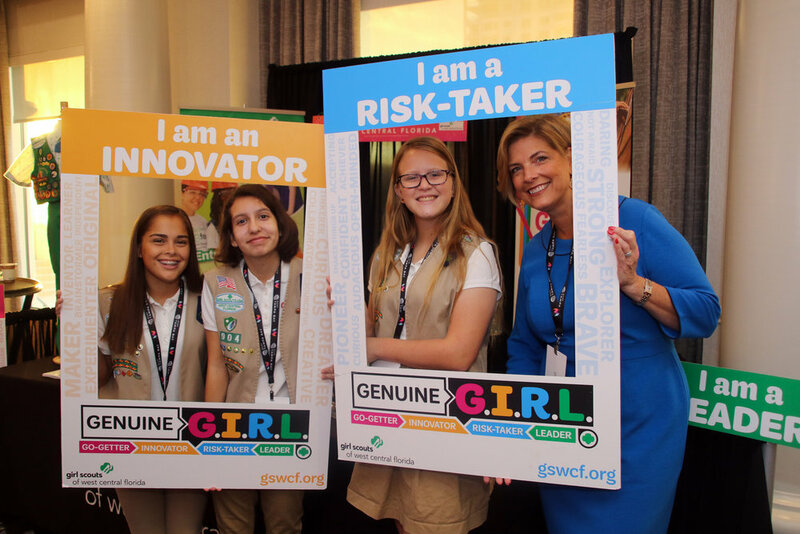 The third annual Women’s Conference of Florida was held on Oct. 26, 2018, and brought together more than 1,000 energetic women from across the state to Downtown Tampa. The conference theme – Connect. Create. Celebrate. – was experienced throughout the day-long event as women connected with fellow colleagues, worked to create solutions to major issues impacting women, and celebrated each other’s past, current, and future accomplishments. Throughout the event, women were moved by a diverse group of keynote speakers, including Mira Sorvino, Carla Harris, Nely Galán, and the iconic Erin Brockovich. Learn more about our inspiring line-up of 2018 keynote speakers here. 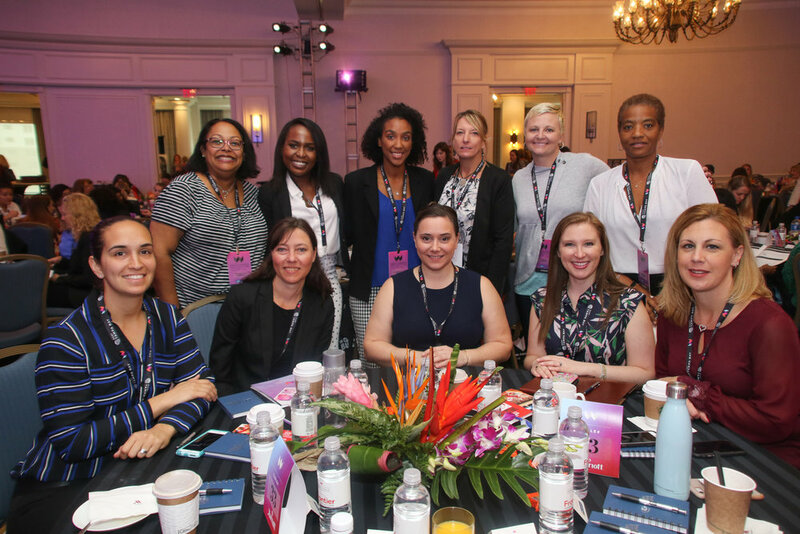 In an exciting new addition to the conference, the Women’s Conference of Florida kicked-off a special College Women on the Rise and Servicewoman to Civilian all-day event at the Doubletree Westshore, the day before the main event. There, 60 college students were advised and mentored by dynamic leaders in Tampa and throughout the state, while women veterans were given helpful advice and tools to help elevate their career goals. We are proud to have the opportunity to impact the lives of countless future leaders and influencers through these two program offerings. Working together towards our shared goal of advancing and empowering Florida’s women, we recognize and thank the countless sponsors who have supported the Women’s Conference of Florida over the course of the last three years. We are humbled by your generosity in sustaining this event that is altering the course for women in every stage of their careers throughout our state – and beyond. Stay tuned for exciting announcements about the upcoming 2019 Women’s Conference of Florida!